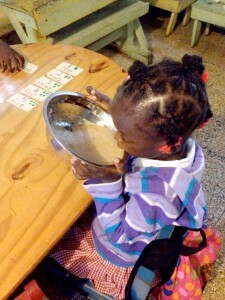 TTFF used the grant provided by BGR for its 2016–17 funding cycle to purchase over 3,000 pounds of porridge mix from two vendors in Jamaica and one in Haiti. The dry mix ingredients include breadfruit flour, cornmeal, powdered cow’s milk or coconut milk, spices and sugar. The mix is packaged in one- or two-pound plastic bags, appropriately labeled. The near-instant powder is mixed with water, cooked for 5 to 10 minutes, and served as a hot breakfast cereal in the morning prior to the start of the school day. Needless to say, the young students learn much better after a good breakfast. The BGR program supported ten schools, five in Jamaica and five in Haiti. This program is vital because the governments in these two countries do not support “basic” schools, that is, kindergarten and pre-school. There were approximately 925 beneficiaries, ranging in age from 3 to 6 years. Half were male and half female. 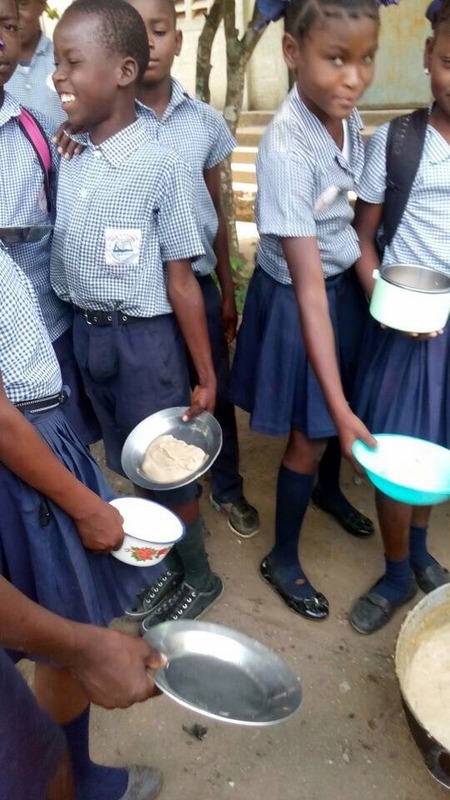 The beneficiaries of this program, however, were not only the young schoolchildren who got a nutritious meal. The beneficiaries also included the teachers and the school cook. TTFF is intentionally paying a price somewhat above fair market value for the breadfruit flour and porridge mix. The local suppliers are very small capacity producers—and the foundation hopes to support them as their main customer for 2 to 3 years, with the expectation that they will make a modest profit and reinvest in their business, lowering costs, improving quality and increasing capacity, ultimately to make their business fully self-sustaining. A win-win situation all the way around! This entry was posted in Education, Engaged Buddhism, Global Hunger, Projects & programs and tagged Children's hunger, Engaged Buddhism, Haiti, Jamaica, Trees That Feed Foundation. Bookmark the permalink.